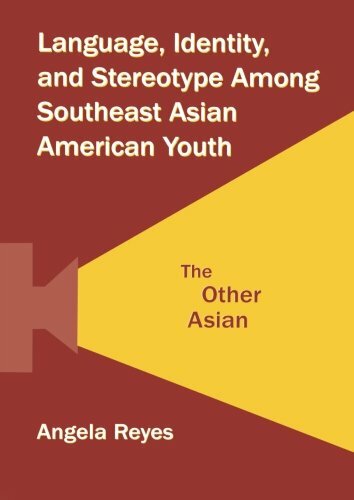 This book—an ethnographic and discourse analytic study of an after-school video-making project for 1.5- and second-generation Southeast Asian American teenagers—explores the relationships among stereotype, identity, and ethnicity that emerge in this informal educational setting. Working from a unique theoretical foundation that combines linguistic anthropology, Asian American studies, and education, and using rigorous linguistic anthropological tools to closely examine video- and audio- recorded interactions gathered during the video-making project (in which teen participants learned the skills for creating their own video and adult staff learned to respect and value the local knowledge of youth), the author builds a compelling link between micro-level uses of language and macro-level discourses of identity, race, ethnicity, and culture. In this study of the ways in which teens draw on and play with circulating stereotypes of the self and the other, Reyes uniquely illustrates how individuals can reappropriate stereotypes of their ethnic group as a resource to position themselves and others in interactionally meaningful ways, to accomplish new social actions, and to assign new meanings to stereotypes. This is an important book for academics and students in sociolinguistics, linguistic anthropology, discourse analysis, and applied linguistics with an interest in issues of youth, race, and ethnicity, and/or educational settings, and will also be of interest to readers in the fields of education, Asian American studies, social psychology, and sociology.